If it’s July in the Northwest, it’s time for wolf pups to start showing up in the news. Today, ODFW announced that the Imnaha pack has had at least four pups, based on trail cam images from their Northeast Oregon roaming grounds. Cameras also picked up six adults; at least 10 wolves were captured on video by a local biologist last November. 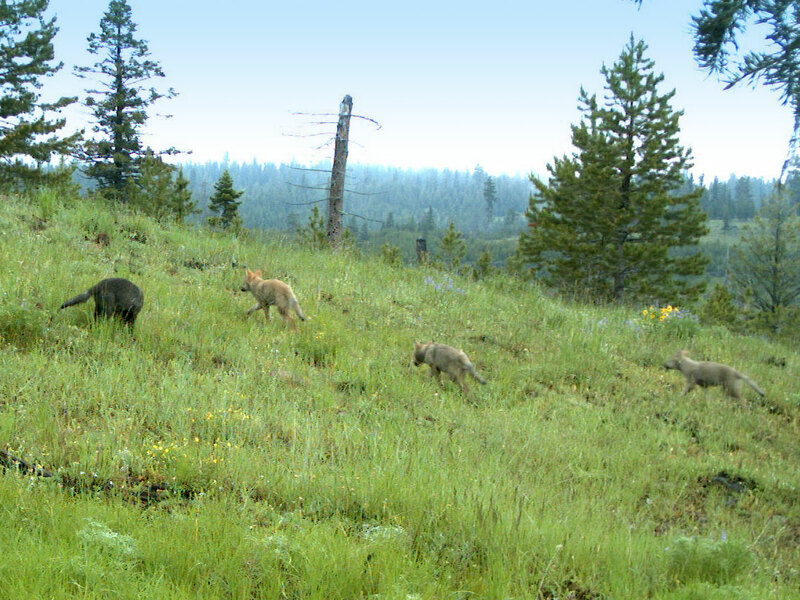 The past two Julys, WDFW has produced images and news releases about pups belonging to packs in North-central and Northeast Washington. We’ve got a call in to Olympia to learn if litters were produced this spring. Meanwhile, as Idaho and Montana pursue higher wolf quotas for this fall, the region remains on hold for U.S. District Court Judge Molloy to make his ruling from Missoula on whether wolves in the Northern Rockies should go back on the endangered species list. Montana has approved the culling of 186 wolves, but put tag sales on hold until Aug. 23. Kill orders on two livestock-killing wolves in Wallowa County, where Forest Service offices burned in a mysterious fire on Sunday, have also been on hold since early July. This entry was posted on July 14, 2010 at 7:24 pm and is filed under HEADLINES. You can follow any responses to this entry through the RSS 2.0 feed. You can leave a response, or trackback from your own site.